Throughout our history, immigrant children have been able to pursue the American Dream and build a better life than their parents. But in the last decades, this has not been the case for the millions of children who lack legal status, and the results are tragic and troubling. The newly released book Lives in Limbo: Undocumented and Coming of Age in America, details the crippling effects of the U.S. immigration system on young undocumented immigrants. Harvard sociologist Roberto Gonzales's book is the culmination of a 12-year project following 150 teens and young adults around the Los Angeles area and detailing how their lives are shaped and stunted by their lack of legal status. In New York to speak about his new book at the New American Dreams: 2015 National Immigrant Integration Conference, Gonzalez tells NBC News that the "normal" pathways to get ahead - getting a driver's license and a summer job as a teen, applying for college scholarships - have not been available to these young immigrants lacking in legal status, thus limiting a path to prosperity. "These kids grew up like you and me, watching Barney, the Power Rangers, and as Los Angeles Dodgers fans," says Gonzales, a third-generation Mexican American who grew up in Colorado. "Then they reach this critical turning point; as their friends move forward they were finding themselves stuck." He comes down pretty decisively on the dominant impact that undocumented status has on their lives, and calls it a "master status, which trumps all other achievements, experiences, and identities." Gonzales saw, in many cases, smart and ambitious teens who a decade later were working in a factory - just like their immigrant parents. Not only is this tragic for the adults themselves, but for the country's economy. 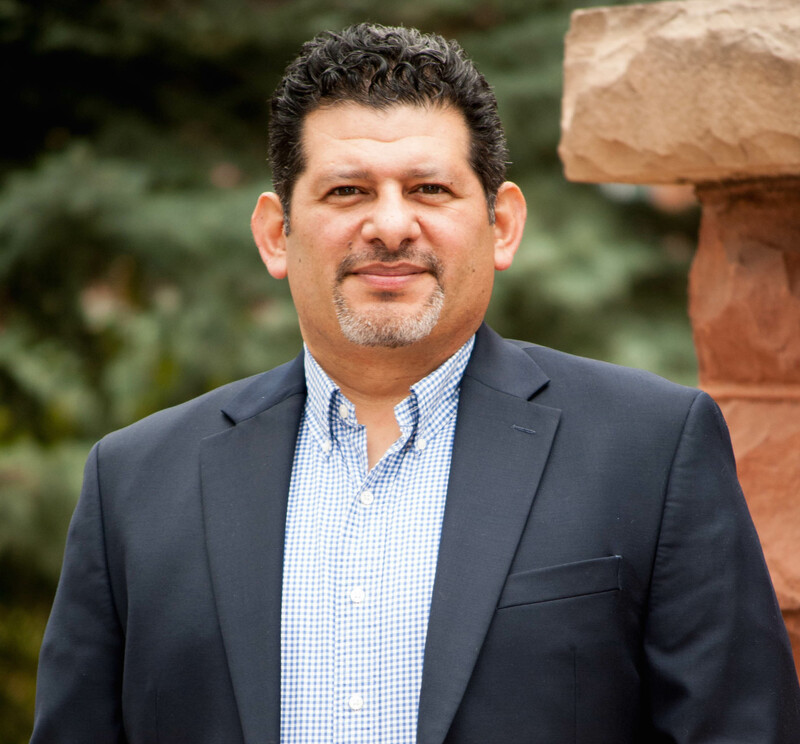 Gonzales' interest in the topic began in Chicago where he spent 10 years working at a youth center and over time began to notice kids hitting barriers as grew up. As they got to their young working age and took on more responsibilities, frustration with their status wore on them and caused many to drop out of school. Those who were lucky enough to get into college, however, had nowhere to look to for help. By the 1990's, people were quite familiar with the plight of adult immigrants and the perils of their parents' status as undocumented, but little was known about the development of children and the barriers to integration for kids who were for all intents and purposes Americans. During his graduate work at the University of California, Irvine, Roberto encountered students who were going through similar circumstances as back in Chicago. Complicating the story for many of these youth is what happens during their school years. "If you are not in a program for the gifted or talented, or a magnate program, you are in larger classes and while your family has all these things going on with their status, you don't have the opportunity to build trusting relationships with adults," says Gonzales. "They become 'early exiters', as I call them in the book." While the federal government continues to fail at immigration reform, states are taking immigration policy into their own hands. California has become well known for being ahead of the curve on an immigration policy that seeks to integrate the undocumented community into society, for example by giving driver's licenses to undocumented immigrants. Gonzales argues that these policies are welcome and should be encouraged, but when you overlay the education system onto California's immigration policies a different pattern emerges. "You have a broken public school system feeding students into a statewide immigration system that is in turn trying to repair the damage done by their status as undocumented immigrants. If you grow up an undocumented kid in California, you have all these progressive policies to look forward to as an adult, but you have to manage yourself through the public school system first." Paradoxically, as these students grow up and face the difficult challenges of acculturating into society, with each year taking them further from their parents' realities and culture at home, their status as undocumented brings them closer to the legal circumstances of their parents, making it difficult to form an identity of belonging in the United States. In recent years, Obama's Deferred Action for Childhood Arrivals, or DACA, has allowed young immigrants who qualify a chance to study and work without fear of deportation. For the past several years Gonzales has been following a group of DACA teens and young adults. While Gonzales thinks it has been an important step in giving young undocumented immigrants temporary relief and the opportunity to normalize into the society, he says DACA doesn't do enough to help them to call themselves "full Americans" and to contribute fully to our economy. "Most important," he says, "DACA does not do enough to ally their fears against deportation, against the possibility that they or their loved ones can at any moment be picked up and deported." DACA requires renewal every two years, and the program is being challenged in the courts by several Republican states. Gonzales concludes with a somewhat pessimistic outlook on the debates over immigration. "This book is for folks in this country who sit in the middle of this debate, who don't have a dog in this fight, but I think are receptive to reason." However, the ideological gap between the Republicans and Democrats make it difficult to move forward. "The majority of Americans want a solution to immigration that offers immigrants a pathway to legality, to move these young people through some sort of pathway, whether it is the Dream Act or DACA or something else." But then Gonzales recognizes the recent rise of Donald Trump and the difficulties it presents in the debate. "I believe in the potential for these young people to refuse being defined by their status and to lead normal lives, but I also believe strongly that living in the United States today with undocumented status stunts people." Gonzales continues, "My book is not about the innocence of children, of meritocracy, of high achievers brought here through no fault of their own, but I think through ethnography what I shine a light on is the effects of growing up in this country under some form of the American Dream seeing yourself with levels of education that surpasses your parents, but living in the same kind of narrowly circumscribed life as their parents." Perhaps wary after decades of disappointment, and 15 years after the initial Dream Act, which seeks to reward those undocumented students who were lucky enough to get into college, Gonzales says, "many of these once gifted students now bare callouses on their hands, are certainly not as idealistic as they once were, and many have blended back into the undocumented population, indistinguishable from today's undocumented workers."